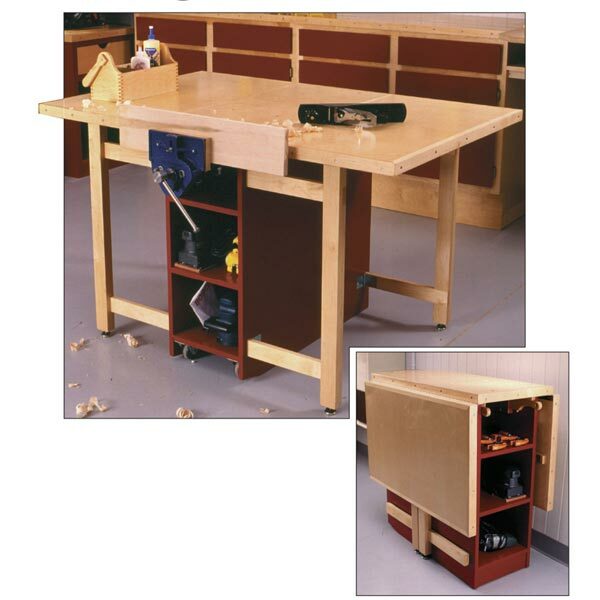 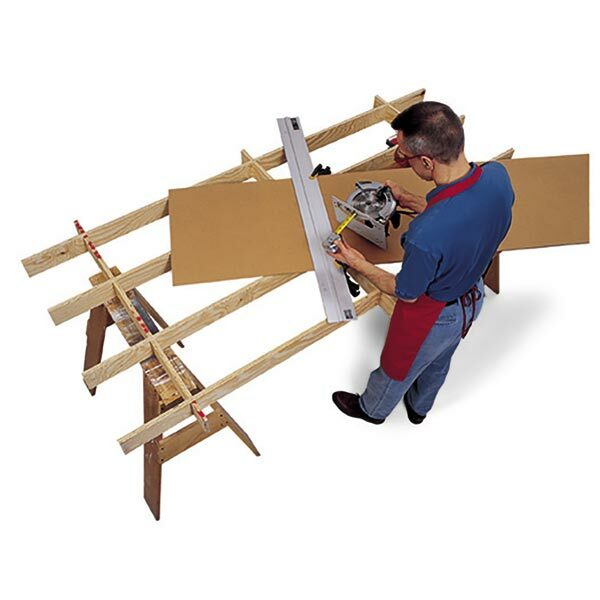 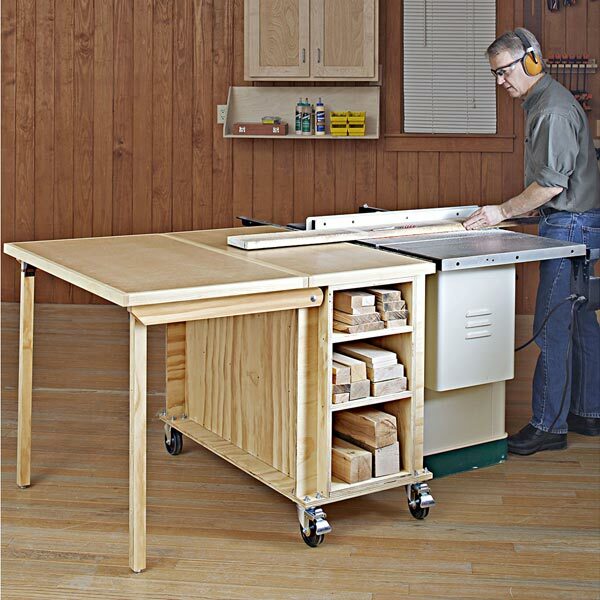 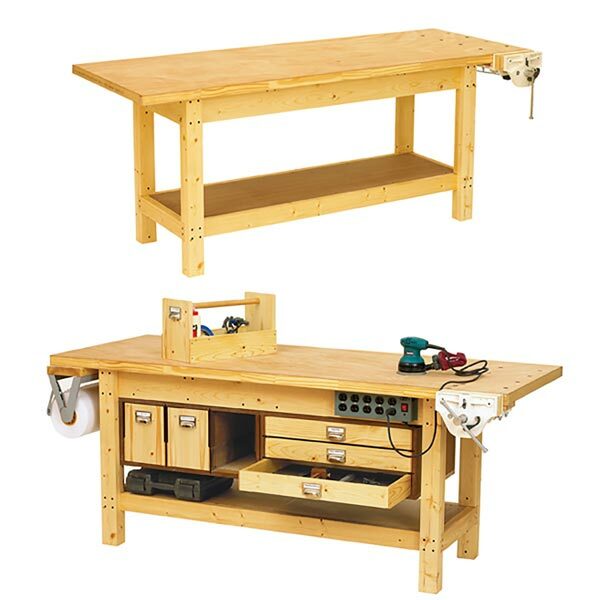 Our IDEA SHOP workbench may be the design for which you'vewaited for years. 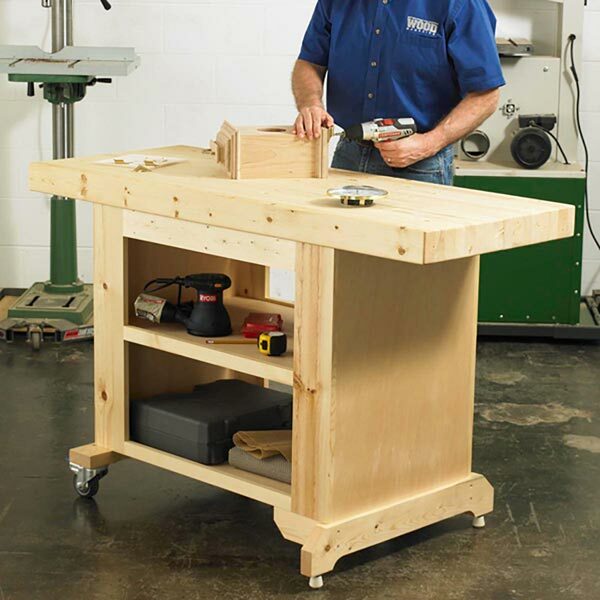 It's simple to build and super strong. 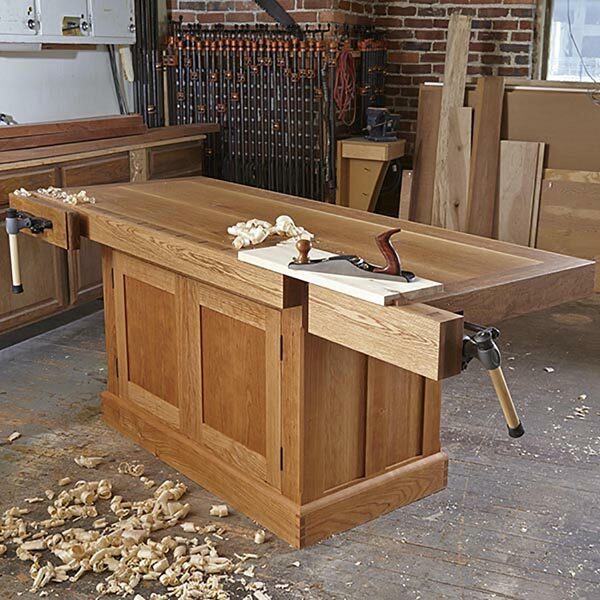 We reliedon inexpensive lumberyard stock and rugged mortise-and-tenonjoinery to construct the base. 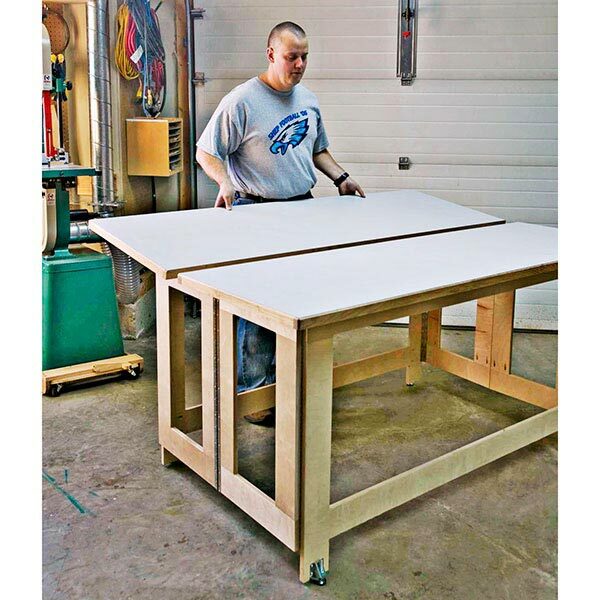 For the benchtop, we laminatedmaple to handle a lifetime of workshop activity. 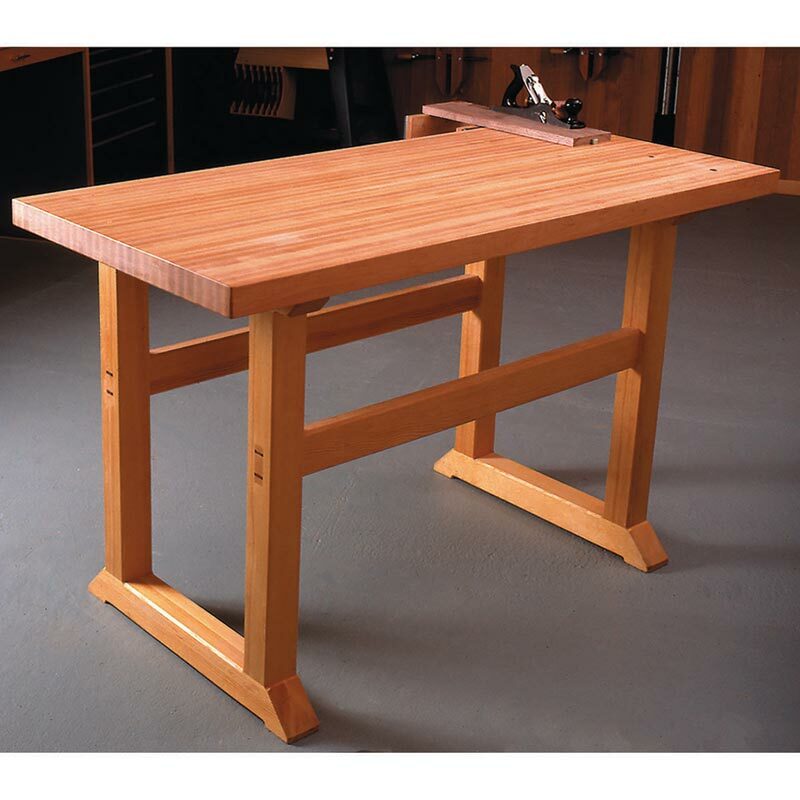 And we addedbench dogs and a bench vise to expand the usefulness of ourworkbench, making it a fitting centerpiece for any home workshop. 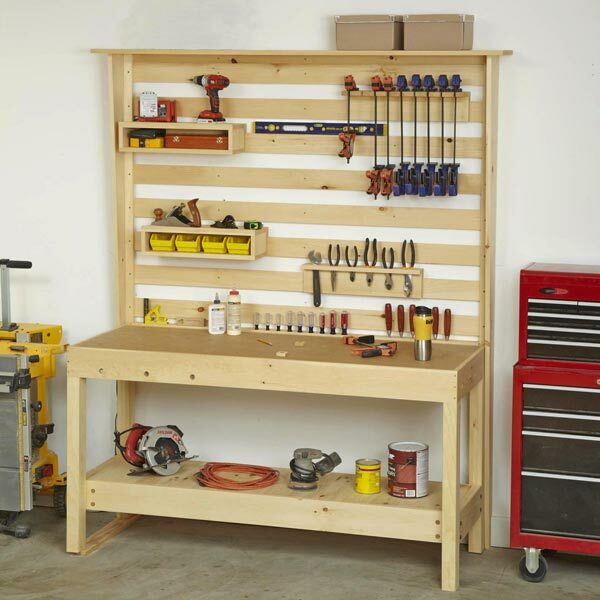 Measures aproximately 35" tall, 60" wide, and 30" deep.